I'm not sure if this is here or not, but in case it isn't.... Another Harry-Potter-is-better joke..... Wallpaper and background images in the Critical Analysis of Twilight club tagged: twilight funny anti vampire severus snape hufflepuff diggory sparkle. "HOW MANY TIMES DOES HE HAVE TO KILL YOU, BOY?!" 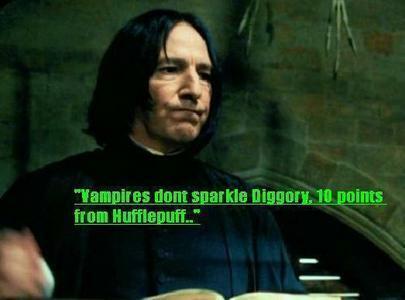 OH SNAPE...love you even more now honey.